What makes a tornado nature's most dangerous storm? Scientists are working to identify the unique set of circumstances which combine to create a tornado. Tornadoes are a violent, spinning vortex of air. 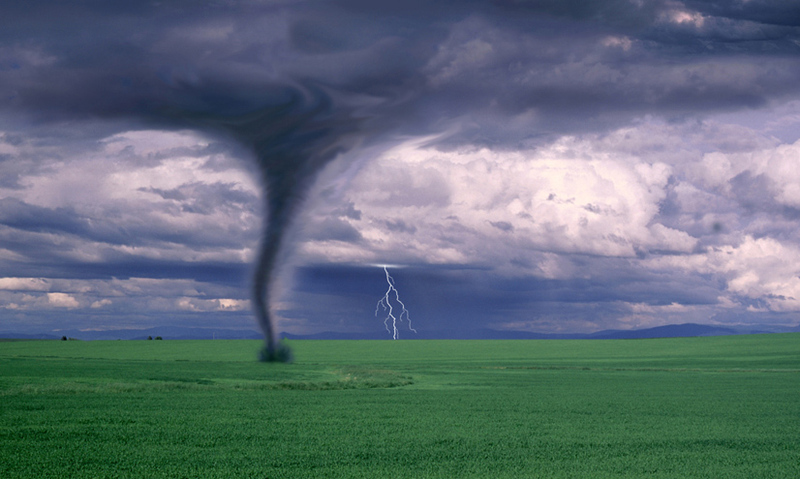 A tornado is an isolated storm event formed in conditions of extreme air pressure and temperature. Tornadoes form rapidly and difficult to forecast. The Fujita Scale is used to classify the strength of tornadoes. A violent, spinning vortex of air, the tornado is one of the most extreme and terrifying forms of weather. A tornado is an isolated storm event, which forms ahead of a weather front in conditions of extreme air pressure and temperature.